Game of Thrones fans are in luck this week, because we get our dose of intrigue twice. 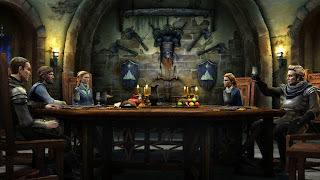 On the one hand we have a new chapter of the fifth season of the TV series, while on the other, and after two months of waiting, comes the fourth episode of the game, allowing us to discover how to continue the adventures of the Forrester, a family with which we have already almost as fond of any of the major houses in the series and books. However, this time we find the weakest chapter of the season, but as usual, equally important to the plot, as the storylines on all fronts are advanced (little, but progress). As always, the most important is again the story, so we recommend having finished the previous episodes before reading this review, as we allude to past events, even without gutting anything that happens here. A plot level we find a lot smoother than its predecessors, giving us the feeling that Telltale has loosened the "belt" with which we was choking and pounding episode after episode. No especially tough decisions beyond a couple of times and during the two hours that lasts almost will not feel its back to the wall, so that has lost much of the tension to which we have become accustomed ( although, as we say, there are two specific sequences that will get us to forget to breathe). Knowing how the world of Game of Thrones, all this smells Telltale wants us to relax and trust us then return to crush us hard in its final season, so we recommend not lower our guard. 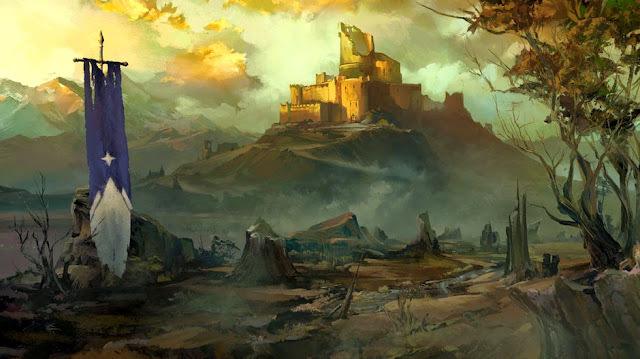 However, the slow progress of experience at the event and the loss of that constant tension, just making a lot of damage, and that makes you lose much of the appeal and the "hook" with which they have trapped us in his first three chapters. Something similar happens with the decisions that we take, probably the easiest to which we have faced so far. So much so, that's the first time all season that we knew for sure we wanted the option to choose, without any shadow of a doubt, so neither maintaining the same level forever. Yes, make no mistake, because despite these failures, the episode still leaving good sequences, thanks to careful narrative is already well written they are each and every one of the dialogues of the game. In fact, Telltale again demonstrates that it is able to address certain issues with far more ease than their own television series, such as slavery. In addition, the characters still maintain their charisma intact, so our concern for them will be total. We discover new details about some important figures in the plot and about their past, which will help us to better understand further, a detail that is always well received. And we mean not only the players, but also the "villains" of history. Also quite like the development and evolution are undergoing certain characters, like look, who at least on our departure, is proving to be a girl with many resources and rather mischievously to get ahead, opposite the initial impression we got it when we met. As for the action scenes, these re-settled by QTE bland, though there are just a couple of them in the whole chapter, which are neither difficult nor are too well raised, which continues to demonstrate the inability of the study to create a Playable suitable formula for this type of situation, something we hope to change in their upcoming games, because every time they are getting worse in this regard. Graphically not expect any surprise, as it still uses the same engine and art section, so again we have a very rough game with animation and with a much improved technical finish (textures, models ...). However, good art direction that makes gala, halfway between a painting and realism, followed by laying great, and very pleasing to the eye. Moreover, everything is recreated with great care, so they quickly recognize the locations we visit, making us really feel inside the world of the series. The sound is not far behind, offering a good soundtrack that includes some issues of the series, although I must say that this time is not as well used and loses some presence and impact. 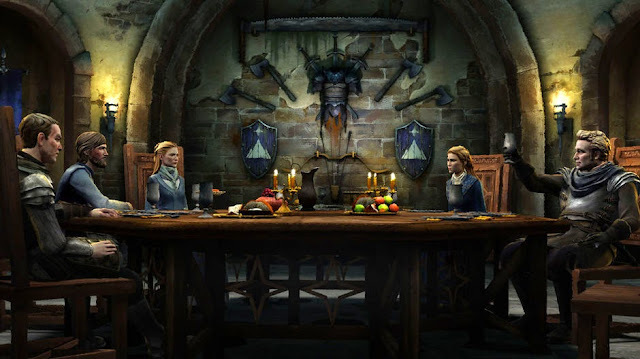 Game of Thrones: A Telltale Games Series - Episode Four: Sons of Winter may be the weakest episode of the season, but everything happens here is important, paving the way for what is to come in the two episodes end of the season. Telltale urgently needs to renew some of its gameplay mechanics, like the QTE for the action sequences, but still offering a good story, very elegant, with good dialogues, better characters and very loyal and respectful of the original material.